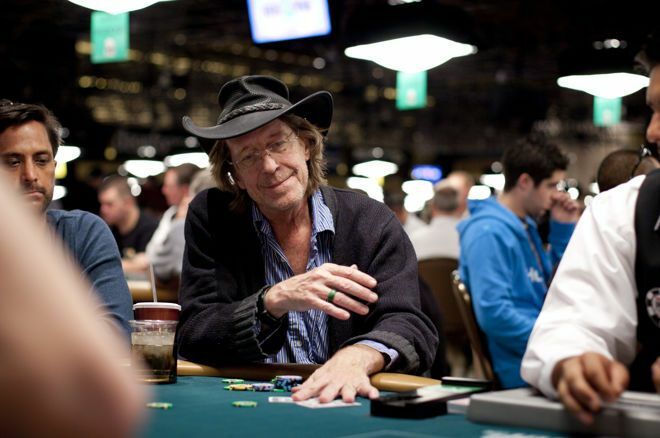 "Minneapolis Jim" Meehan came into poker fame alongside the poker boom in 2003 with WSOP and WCOOP wins. Poker lost one of its Midwestern U.S. legends on Dec. 6, 2018. At age 66, James Michael Meehan, better known as “Minneapolis Jim”, passed away. He is survived by his four sons and six grandchildren, and will be fondly remembered in the poker community. Before he was “Minneapolis Jim,” the Eagan, Minnesota native studied law at University of Minnesota where he got his bachelor’s degree and his J.D. He practiced law for 20 years and like many others of his day, he started playing poker in the 1960s. Meehan played his fair share of WSOP events with before the poker boom took full force in 2003, with some success including a runner-up finish toLouis Asmo in the 1997 WSOP Event #13: $3,000 Limit Hold’em for $115,800 and third place in a 1999 WSOP $2,500 Limit Omaha event for $26,000. "When the poker world thinks of Minnesota, they think of 'Minneapolis Jim.'" Meehan won his WSOP bracelet just a couple weeks before Chris Moneymaker’s fabled 2003 Main Event victory, when he outlasted a field of 407 players to win the 2003 WSOP Event #5: $2,000 No-Limit Hold’em which also came with a top prize of $280,100. The timing of his win at the start of the poker book brought a level of notoriety to Meehan and his signature cowboy hat, and he kept the ball rolling. The same year, he beat out a field of 626 to win a WCOOP $530 Limit event for another $78,250 playing under the screen name“actiondonkey”, becoming the first player to win both a bracelet and a WCOOP title in the same year. Soon after, he finished sixth in the 2004 Mirage Poker Showdown, an event he final tabled with Scotty Nguyen, John Juanda, Gabe Kaplan, Lee Watkinson and eventual winner Eli Elezra. Meehan’s poker volume began to fall off after 2005, but he continued to play sporadic regional events in and around Minnesota. One such event was a 2016 MSPT he played in Meskwaki, Iowa, where he told PokerNews in an interview that he was mostly out of poker with the exception of the occasional tournament. His respect in the industry has remained, however, as evidenced by his 2015 induction into the Minnesota Poker Hall of Fame. Tristan Wilberg, Casino Shift Manager/Casino Marketing Advisor for Running Aces Casino and member of the Minnesota Poker Hall of Fame committee once said in an interview with PokerNews: "When the poker world thinks of Minnesota, they think of 'Minneapolis Jim.'" He continued, "Numerous times, while traveling, I have been asked if I know him, and I'm happy to say that I do. His entertaining personality and the skill he displays make him unforgettable at the table."